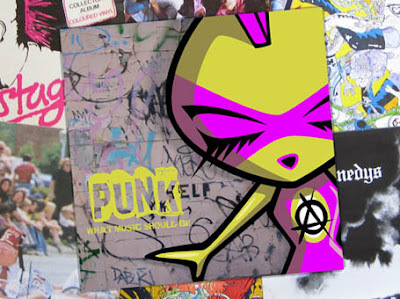 KawaiiPunk - Kawaii Mascot Blog: A Punk Album for a Punk Mascot! It’s a punk album cover featuring you as the cover star - well, it did seem quite fitting what with you being the Punk Mascot and all! What do you think? I mean, granted, I’ve never actually designed an album cover before, so it might not be the best cover ever created, but I do think it captures the essence of punk pretty well. And you’ve got to admit, you do look pretty cool on it!